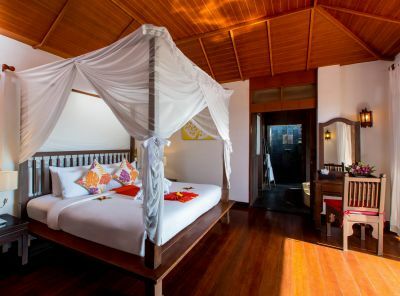 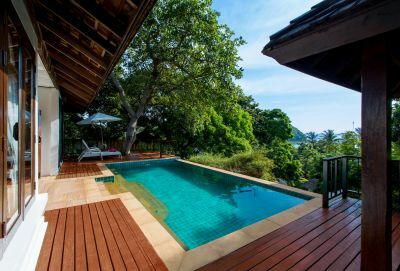 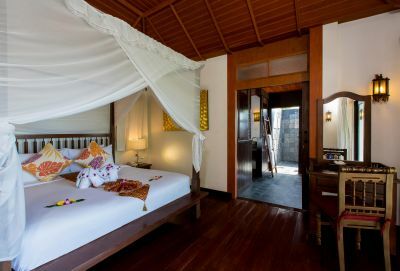 This unique and generous 144 sqm villa is located on the highest point of the resort, overlooking lush tropical gardens and the glittering bay below. Perfect for honeymooners, romantic couples or small families who are looking for the utmost in privacy and comfort. 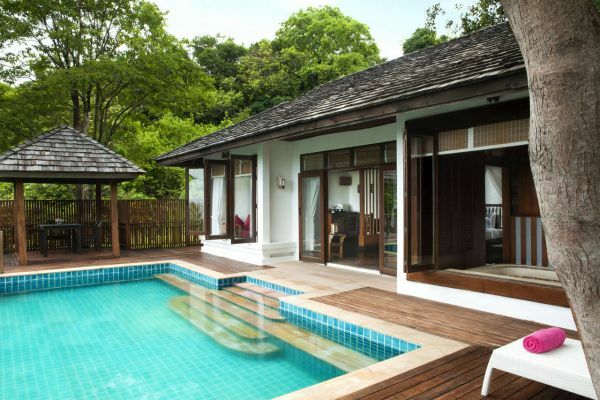 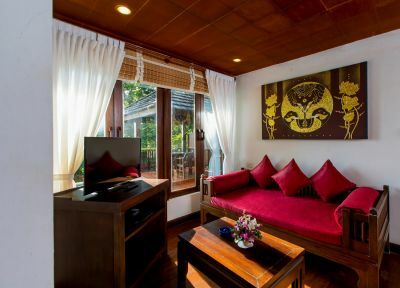 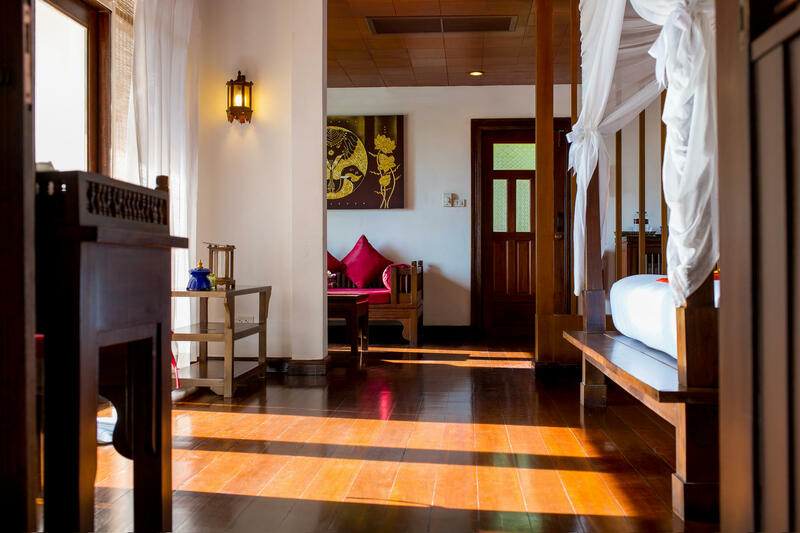 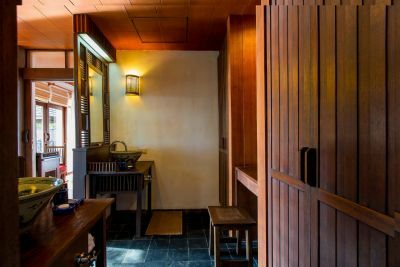 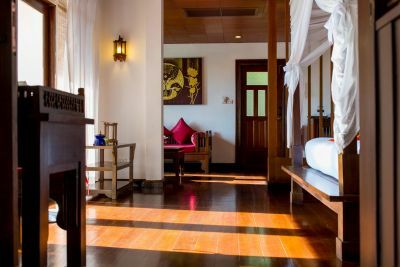 Spend your day having fun with friends or family in your very own private pool, lounging in the sun on the large wooden deck or enjoying a private lunch or dinner in the charming Thai-style dining sala. 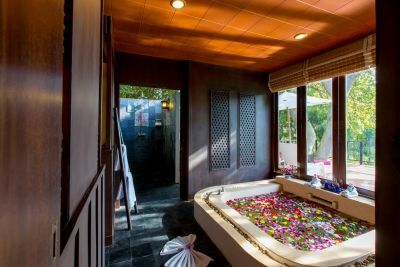 Pool beds with sun umbrellas keep you comfy all day, but when night falls, enjoy the honeymoon-size indoor bathtub or a refreshing outdoor rain shower under the twinkling stars.